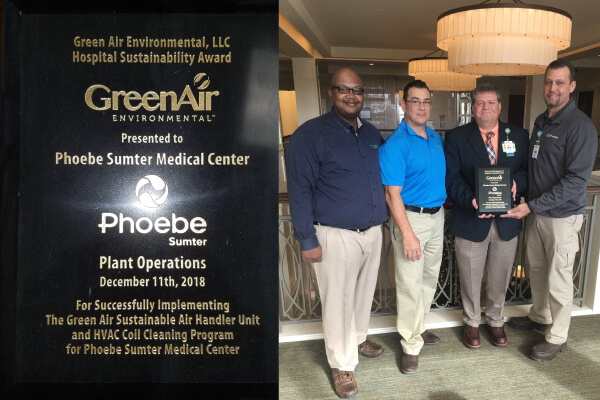 On December 11, 2018 Phoebe Sumter Medical Center was the recipient of the 2018 Green Air Hospital Sustainability Award for 100% Implementation of Green Air’s Preventive Maintenance Air Handler Unit and HVAC Cleaning Program. This sprawling 80 bed hospital in central Georgia was awarded this award in conjunction with the hospital’s many sustainable practices. Recycling programs, LED lighting installation, low water use fixtures, VFD’s and many more Green Initiatives on their campus. Phoebe Sumter Medical Center received The LEED Silver certification when it was constructed in 2012. Mr. Waldal, Facilities Director, relates that since the opening of the facility in 2012, Patient care has been the priority of the facility. Sustainable practices have ensured that his team is a steward for doing the best they can in providing a comfortable and safe environment for patients, staff, and visitors. Green Air awards 2 Hospital Sustainable Awards each year out of over 100 healthcare clients across the southeast. The award looks for sustainable programs within each facility. The process used to clean the Air Handler Unit and HVAC Coils for Phoebe Sumter is a patented chemical free steam process that greatly improves indoor air quality, air exchanges, and efficiency of the entire HVAC system. On July 31 2017 Green Air awarded its 1st ever K-12 Sustainability Award. K-12 School Systems from Florida, Georgia and North Carolina were nominated based on Green Initiatives and Sustainable Practices within the maintenance dept. of the school system. Not only was the implementation of Green Air’s Sustainable HVAC Coil Cleaning program reviewed, we also reviewed PM programs for HVAC systems, and equipment replacement schedules. We’re proud to announce that our 1st recipient of the K-12 Sustainability Award goes to Atlanta Public Schools, in Atlanta, GA APS has demonstrated a commitment to Sustainability by replacing inefficient equipment with the higher SEER ratings than required. New VRF technology has been installed in the school system buildings, along with new VFD’s on existing AHU’s and pumps. 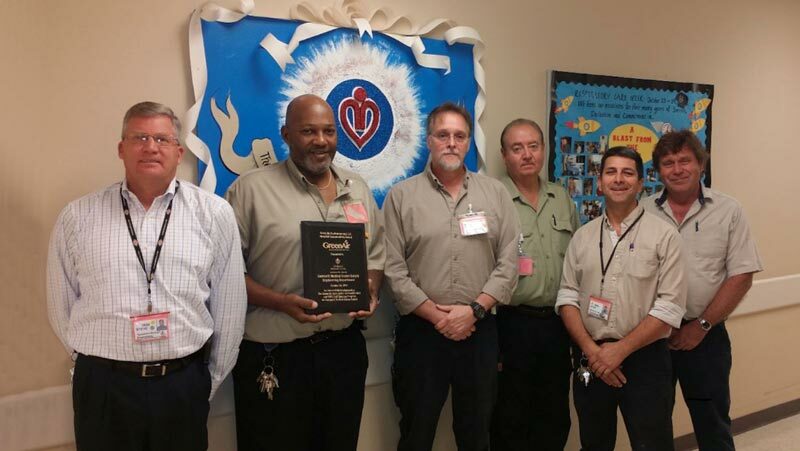 Another notable aspect of the APS HVAC Shop is their dedication to their HVAC Coil Cleaning program. This program has reduced many comfort calls once associated with their HVAC system. It has also reduced tremendously the amount of compressor and fan motor failures. Green Air’s chemical free steam process has also lowered energy costs associated with running the systems HVAC equipment. Congratulations to Atlanta Public Schools! 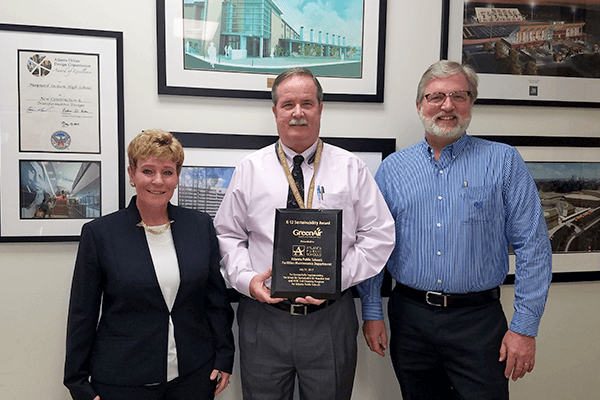 Gwinnett Medical Center Duluth received the Green Air EnvironmentalTM Hospital Sustainability Award for its 100% participation in the Green Air Sustainable Air Handler Unit and HVAC Coil Cleaning program. This Green program consists of a sustainable chemical free process of cleaning the air handler units that serve this first-class campus. Director of Engineering Steve Cox, recognized that his facility needed to do more than the status quo minimum, of using inferior and corrosive chemicals to clean the HVAC equipment at this critical facility. He researched for a process that will make a difference in his hospital. This process allows for improved air exchanges for the facility, which creates a healthy environment for the patients and staff. 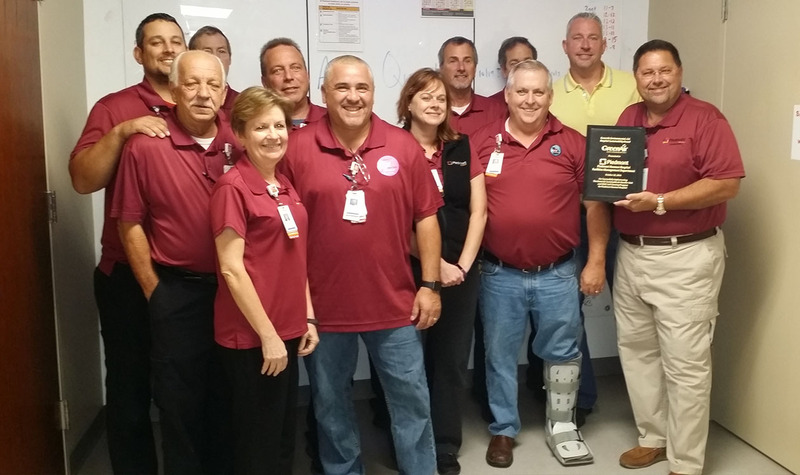 Among 70 hospitals across the southeast, 2 hospitals were selected for this prestigious award. Gwinnett Medical Center Duluth’s dedication to the environment, sustainable practices, and overall energy reduction placed them at the top of the industry in healthcare engineering. Following their sustainability road map for hospitals, Gwinnett Medical Center Duluth is committed to improving the indoor air quality and HVAC operation of their facility by having all their AHU’s and HVAC Coils professionally cleaned by Green Air. This powerful chemical free process has greatly improved patient and staff care and comfort. 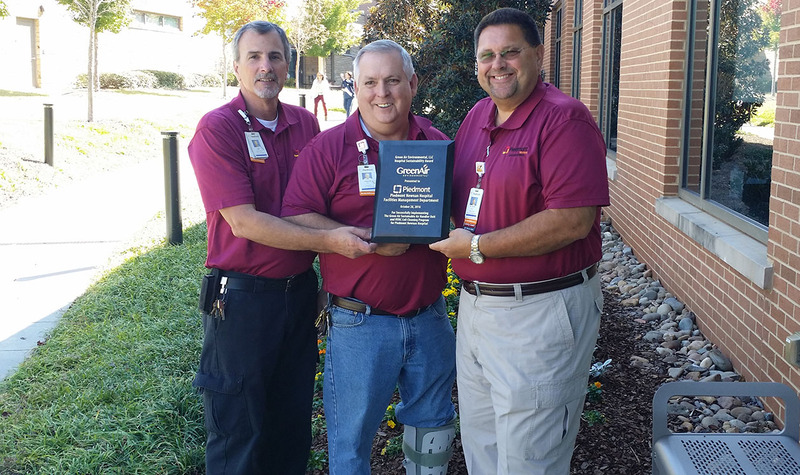 On October 28th 2016 Piedmont Newnan Hospital received the Green Air EnvironmentalTM Hospital Sustainability Award for its 100% participation in the Green Air Sustainable Air Handler Unit and HVAC Coil Cleaning program. This Green program consists of a sustainable chemical free process of cleaning the air handler units that serve this first-class facility. This process allows for improved air exchanges for the facility, which creates a healthy environment for the patients and staff. Among 70 hospitals across the southeast, 2 hospitals were selected for this prestigious award. 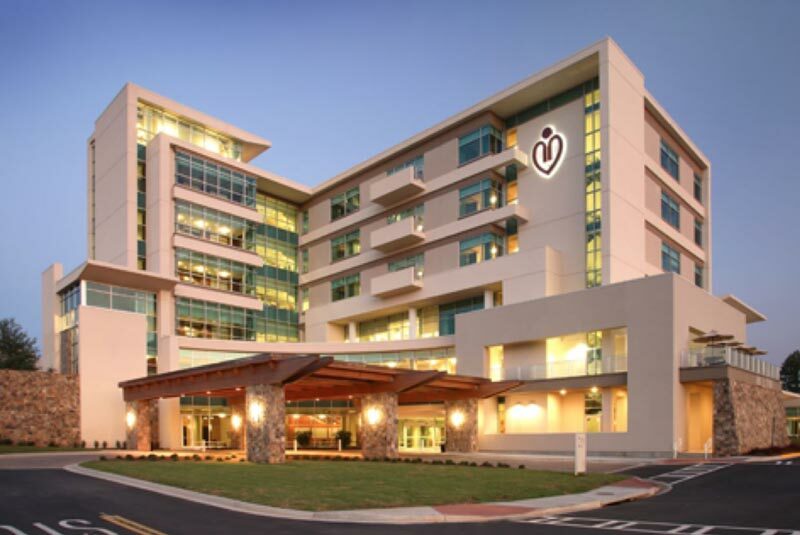 Piedmont Newnan Hospital’s dedication to the environment, sustainable practices, and overall energy reduction placed them at the top of the industry in healthcare engineering. Following their sustainability road map for hospitals, Piedmont Newnan is committed to improving the indoor air quality and HVAC operation of their facility by having all their AHU’s and HVAC Coils professionally cleaned by Green Air. This powerful chemical free process has greatly improved patient and staff care and comfort. Piedmont Fayette Hospital is a growing 200 bed facility located in Fayetteville, GA. Piedmont Fayette has continually looked for sustainable ways to improve the efficiency of their plant operations., at the same time reducing their carbon footprint, and improving patient care and comfort. Green Air has helped this facility by cleaning all the AHU’s that serve Piedmont Fayette Hospital. The deep, thorough cleaning, included all HVAC coils in each AHU, the condensate drain pans, the blower wheels, the blower sections, and the interior cabinets. This methodical and detailed approach of 350 degree steam cleaning the AHU’s, provides a sterile environment at the unit for the areas being served. With improvements in delta T and heat transfer at every coil, the chiller and boiler plant will also operate in a more efficient manner. Airflow improvements along with more air exchanges are common with this Green process. 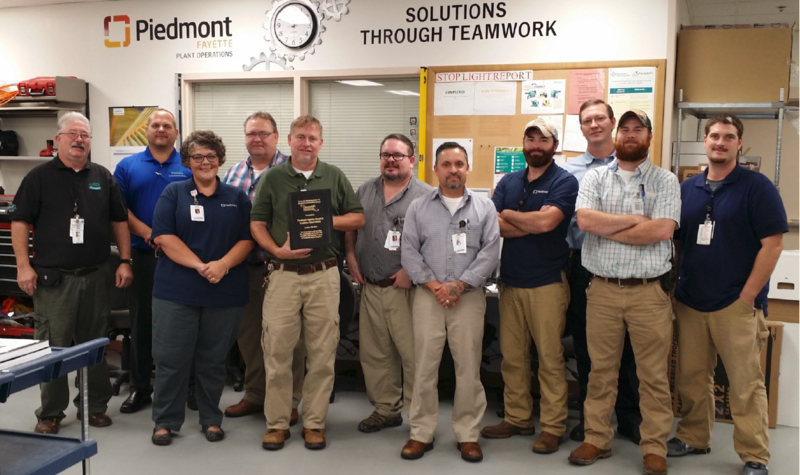 In October of 2015, Piedmont Fayette Hospital received a Hospital Sustainability Award for it’s 100% participation in the Sustainable Air Handler Unit and HVAC Coil Cleaning program provided by Green Air. Every Air Handler Unit at this facility was cleaned over a 6 week period in May and June. This powerful, chemical free, steam cleaning process has produced great results in efficiency and capacity improvements.